What do you do when you can’t shut your brain off? Apparently, overthinking doesn’t sound so bad – thinking should be a good exercise for the brain, right? But it can actually cause quite some problems. Overthinking is as debilitating as it is common. It can ruin your social events, disturb your sleep, undermine your job performance, ruin your vacations and generally stop you from enjoying all the other great things that come into your life every day. When you overthink, your thoughts and judgments get cloudy; while your stress levels get elevated – not to mention you tend to spend too much time in a negative mindset. Typically, it also comes with all the physical discomforts of anxiety, which means that overthinking leaves you not only mentally distressed but also physically exhausted. Luckily, there is good news in this picture, too. What Can This Method Do For You? The first thing you need to know is that stopping yourself from overthinking is possible. You don’t have to feel like this all your life! But apart from suggesting you to meditate daily and breath deeply as often as you can to calm your nerves and slow down your heart rate; today I want to propose you a practical technique that will come in handy whenever you need to stop overthinking about particular big projects (or why not even dreams!) you want to get done. In other words, this technique will help you sweat much less while worrying about the many steps or different things that you need to do in order to accomplish a much bigger task (e.g write a book, start a business or even plan a trip). What we’re gonna talk about is also considered an extremely powerful productivity and planning technique: it’s called the one-page strategy. It will help you clear the thoughts in your mind when you feel like there’s too much on the plate (for a business or personal project). I think sometimes we feel overwhelmed because ‘we have it all everywhere’ meaning that we spread our ideas on post-its, different pieces of paper and on the phone instead of having them in one single place. This might make you feel stuck (sometimes lack of clarity is the cause of procrastination) and cause you to give up even before starting. If you stop overthinking, you can also stop procrastinating! There’s something about seeing all your ideas on one page and being able to zoom it all out – no matter what it is (business, goals, productivity, accounting etc.) – that makes this an extremely effective method. It’s also been proven the planning ahead improves productivity and that your chances to accomplish something in the less amount of time possible radically increase with a good planning. In other words, you’re much more productive if you know where you’re going. Just think of it for a second. You will spend waaay less time worrying about the end result (fearing that you’re wasting time or efforts – if you’ve heard that constant, annoying voice in your head repeating ‘you’re gonna fail, this is not working’ you know what it feels like) if you know exactly why you’re doing what you’re doing. And this might sound common sense at first but bear with me. But that’s when clarity comes to the rescue. Clarity of ideas will lead to clarity in action. And that will save you tons of hours procrastinating. Simple as that. Let’s make an example. Let’s say you’re planning to launch your freelance business online and you need to do some cold emailing to get your first clients. This can be a huge process, but we can chunk it down so that it doesn’t appear as intimidating. First, you’ll collect some contacts, you’ll open your email, then you’ll start brainstorming until you can create a guideline on what you want to say. See? It sounds a lot less scary. Now, it’s even doable. Did it save you time procrastinating? Hell yeah! Also, sometimes if you’re feeling overwhelmed with something, it’s probably because you have a little bit here and a little bit there. Just knowing where things relieve the stress and the clutter (but we’ll get more deeply into that in a few minutes!). This technique can particularly come in handy when you’re planning – but it will also be helpful to stick to – your new year’s resolutions. Whether you want to drop a few pounds, spend more time with your family, take a new class – or whatever else it is that you want to accomplish this year (the possibilities are unlimited!) – this type of planning will take you there. If you’ve always said you wanted to write a book sooner or later, here’s the right way to do it. Writing a book can and will feel overwhelming. Whether you want to write something fictional or not, it has to have some kind of organization at some point. Here you can include your purposes, your long-term goals, and even your bucket list. There are few things in life as hard as starting your own business, especially if it’s your first try. In one way or another, you will need to follow some sort of direction – and this technique will give you exactly that. Whether it’s a long, relaxing holiday week with your family, or a complete declutter of your closet, there’s always a way this strategy comes in handy to clear and organize the thoughts in your head. Now let’s finally see what exact steps you’ll need to take in order to make the technique effective. Collect all the notes you wrote on your phone and the million post-its you left attached on your computer and write it all down on a new piece of paper. I suggest you use a notebook so that you actually have limited free space to write (I think it’s way harder to do this in a digital form but you choose!). Whenever possible, try to create connections, for example between related actions. Also, try to keep a chronological order between the ‘to-dos’ as much as possible (although this is not mandatory) – or it might get too messy again during the next step of the process. After that, brainstorm all the further little action steps that you would need to meet in order to reach your goal. For example, if you want to redesign your website, you would either have to search for a theme that you like, and if you can’t find a theme you might have to find a web designer and web developer and before you even get into that, you probably should decide a color palette or gather some photos for inspiration (this is basically why I find myself on Pinterest all the time!). So you get the point here: word-vomit and brainstorm all the steps that come to your mind when you think of what you need to do in order to reach a specific goal or carry out a specific project of yours. Try to also keep in mind that there might be different ‘roads’ to follow to get the same result – so don’t forget to add alternatives as well. In this phase, you slightly need to edit anything thus let your mind run free of possibilities and different ways to achieve the same goal. Putting order to this mess is the second exact step. After brainstorming and putting all our ideas together, a little declutter is mandatory in order to make things clearer and start acting upon them. Remember: when there’s clarity, we’re less likely to spend time procrastinating – and this why this second step is so crucial. So after you kind of word vomit all of the to-do list items that you know you will eventually need to get done; list them out, this time in chronological order. Take action: Circle the three most important tasks that need to be done, with the first one being an absolute priority (this means it is both important and urgent, or in general it’s what would make a huge difference compared to others). Then, take those three ‘to-dos’ and schedule them in your Google calendar (or planner, or whatever else you use! ), giving them also a deadline. After you accomplish those three steps, go to your notes again, pick the next three important items and transfer/schedule them into your to-do list. Keep doing so until all of your items are done. In this process, setting a deadline – an ideal date you’d like to reach that goal for – is crucial. And it should not only be set for the project itself, but also for each individual task on your to-do list. I learned with time and experience that if I don’t set a deadline I will just be relaxed and lazy and not work on it till I’m forced to. It’s also especially important to set a reward for each of those deadlines. For doing so, keep in mind this general rule: the harder the task, the bigger should be the reward. Each reward should be something that you genuinely enjoy doing, or that even excites you like a child. For example, I love (so much!) going out for dinner, but I save it for special occasions, to both motivate me and save money at the same time. So when I have a big project I’m working on, I plan a night out to celebrate with my friends and family in my favorite restaurant if I meet a certain deadline. By doing so, I find myself being so much more productive. This happens mainly because when I feel down or tired the image of me having fun with my family and friends keeps me motivated. Indeed, setting rewards for your deadlines are known to keep your levels of willpower high for longer. In an ideal world, we would do everything we set our mind to, everything we write down in our to-do list. Unfortunately, this does not always happen. Why? Life gets in the way. You get busy, distracted and sh*t happens. You can’t just expect everything to go according to plan. So, when writing down your plan all on one page, try to also consider everything that might come in your way. Sometimes being productive doesn’t only mean being able to meet deadlines or sit down and work for many hours; it can also mean taking control back as fast as possible when emergencies and setbacks occur. Step #3: Make It S.M.A.R.T. Now, we’re basically gonna review all the items we put on our list and see if those are achievable and specific or, in other words, if they are ‘SMART’ enough to be worth our time and efforts. Consider this to be a ‘proof’ or final test to make sure you’ll be working effectively. This section is all about making your plans as actionable as possible. Let’s verify the goals you have set (that will all together help you put your plan into action) follow the very well-known SMART method. Let’s make an example. Let’s say my big goal is to “become a business owner”. Is this a ‘SMART’ goal? Partly. While it’s both ambitious and realistic, this intention is not specific nor measurable or timely. Instead, “Start a blog and sell online courses on how to practice yoga by 2020” looks much more attainable and specific – and classifies as a SMART goal. Take action: Start with selecting up to three goals and be sure each can be assigned the ‘SMART’ status. If one of your goals doesn’t follow the rules, delete it. Remember, you should be able to always come back to this plan in the future to keep yourself motivated and laser-focused. That’s why you need to give clear instructions to your brain from the start! Select the hardest and most time-consuming tasks and do them first. Try to batch similar activities together, to get workflow easier. Try to always consider a B-plan, or an alternative road to get what you want (and trust me, there’s always at least one). Use time-bounds and deadlines, but be realistic with those. Then, insert at least three actions into every column. By making sure your one-page strategy is also SMART, you’re prepared and can stop overthinking. Appearance isn’t everything – and you should never judge a book entirely by its cover – but a good design can help things flow more smoothly, especially in the beginning. Eyes must be fed too after all, right? An idea would be to realize some decorations and drawings (nothing too elaborate or extra if you’re not good with that!) on the one page or – in the worst case scenario – to simply add some color. You can find countless DIY design ideas on Pinterest; try searching for ‘bullet journals’ and take inspiration from there. If you like a template or an image, you can always print it out so that you’re not even forced to do anything by hand. This will not only make your page aesthetically pleasing but will also make sure you’re happy to check it out more frequently. What I’ve found is that sometimes generating too much information over too long of a timeframe results in flat-out overwhelm (which is exactly what we’re trying to avoid, aren’t we?). That’s why the “plan on a page” should be used, reviewed and updated in time. It should push you to think, be decisive, and be honest about what’s really important, making sure you don’t paralyze yourself from taking action. And most importantly (yes, I’ll repeat it once again!) it should be actionable in.the.present.moment. In the end, it doesn’t really matter how much you plan if you’re doing nothing but that! So try to make this page fit in nicely with broader long-term initiatives as a way to keep the momentum going. Finally, I’d like to invite you not to be skeptical and give this process a try — it should take an hour maximum of your time. I really hope you enjoyed reading this article as much as I enjoyed writing it – and that you’ll find this technique useful. Keep killing it! If you liked this technique useful or want to share other productivity tools you used in the past, feel free to do so in the comments section below! Ready to stop overthinking your goals? Do a brain dump by making sure your goal is S.M.A.R.T. 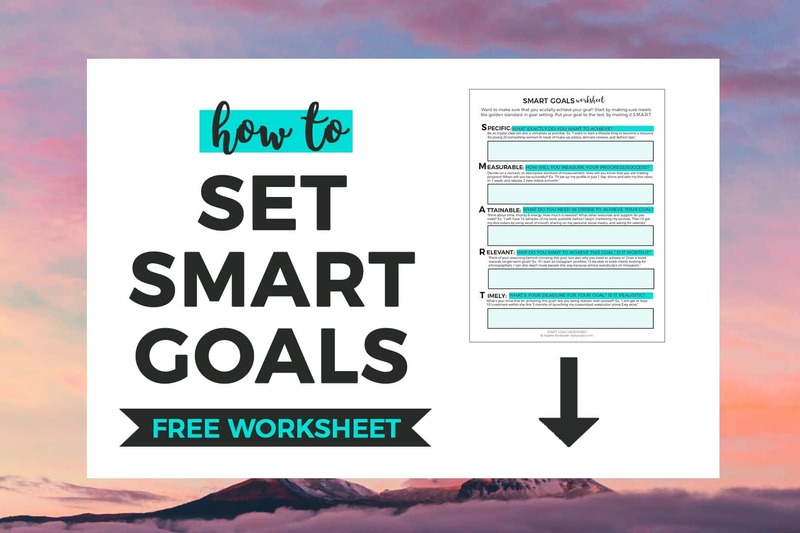 Sign up below to get your FREE Smart Goals Worksheet, it’s both form-fillable and printable. Sign up below for your FREE SMART Goals Worksheet + get weekly tips to help you slay your goals. Celeste is the creator and writer of Where Comes The Sun. 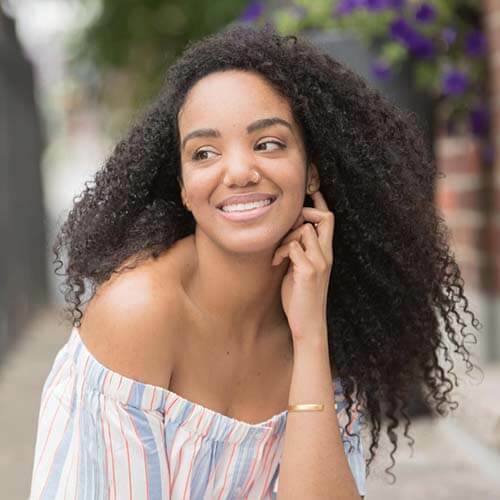 She loves writing about health, self-improvement, goal setting and anything that can improve a person’s life. 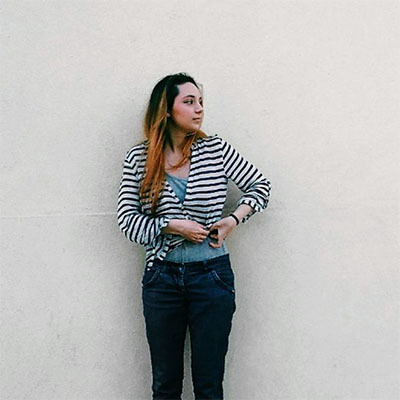 Her motto is: “Done is better than perfect” and her favorite things are: her blog, her dog (a Bernese) and pizza! + weekly tips to help you slay your goals. I want to be SMART! I have to admit that I’m a chronic overthinker. I think, especially as writers, we are already in our heads too much as it is. I overanalyze every single thing and like you stated in the post, it’s soooo easy to become overwhelmed. In fact, I probably need to do a lot of organizing so I don’t feel that I’m all over the place. Your suggestions make a lot of sense to me, because once I do start something, it snowballs from there, but the “starting it” is the biggest issue I have. Great post! 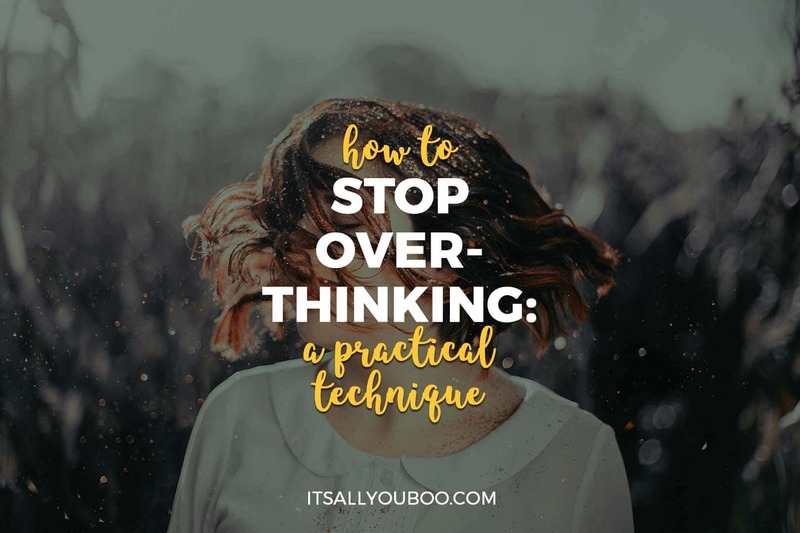 I am bookmarking this post for later because I overthink EVERYTHING! I really need to work on calming my mind down and just shutting down and meditating to clear it out. Thank you for sharing! I’m a fan of this one-page technique, I find that once it’s all out on paper, I feel calm. Like, okay all of it’s down, nothing will be missed or forgotten. Then, I can just get started! 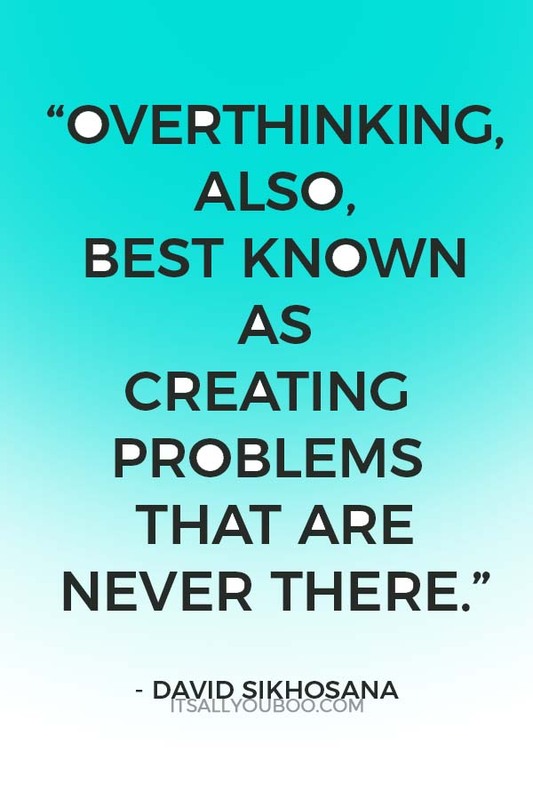 Need to bookmark this, overthinking is like my second name. This is a popular one for bookmaking! Hope you middle name can be changed to taking action. I really like the tips here. I try not to overthink anything because I get really anxious when I do. 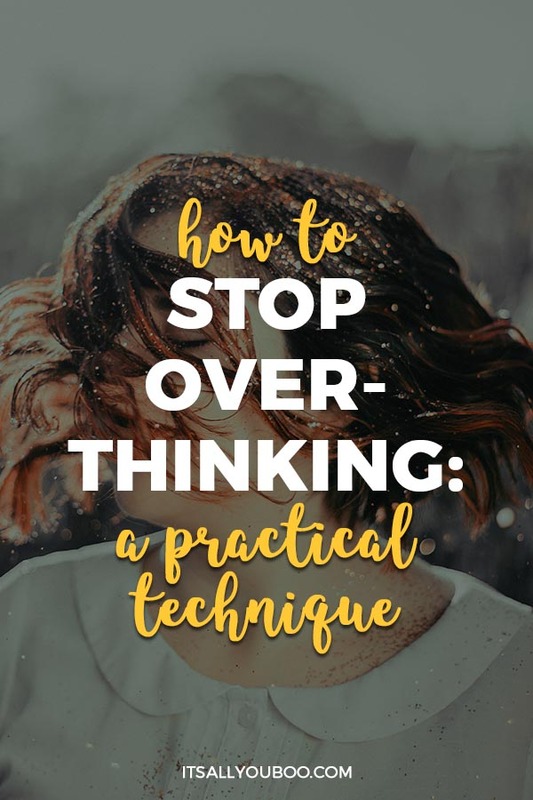 So glad you’ve found it helpful for overcoming your overthinking! I was just thinking about how much I have to do, yet sitting there doing nothing. I think putting some order to my mess is just what I need to do. I am over overthinking! We’ve all been there! Too much to do and no willingness to get started. I always tell myself to just do something. Something usually leads to something else. I am a thinker, so for me, from strategy to execution, thinking plays a big role. Having said that, I could not agree more with you on how distracting and counter-productive can overthinking be – both in personal and professional life. Add ADHD to the mix and a distracted, over thinking, mega highway of conundrums is what life becomes. It has taken me years, if not decades to learn the art of ‘bringing myself back’ to the real world and getting things done. I find strategy/plan sheets are not alone the answer. I incorporate technology for reminders, announcements for accountability and little cute punishments for veering away from goal in the process of over thinking. It has helped me stay focused and be where I am today, but in saying that, a thinker is just that, that is who they are and they are going to think. It is just finding that right balance where you can still function and take your thoughts beyond your cranium and put them into constructive, productive action. 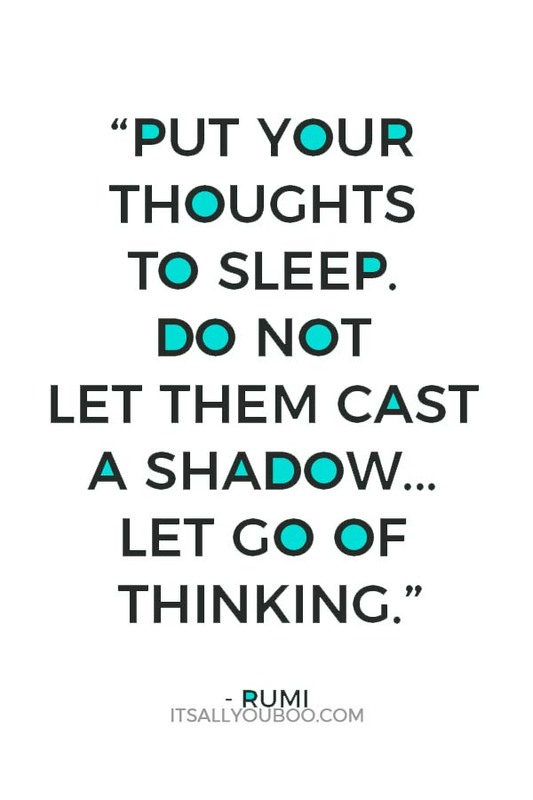 With years of labor, ‘thinking’ (no pun intended) and experiments I can safely say I have learned the art of taming my thinking from becoming over thinking and using my thought process to yield the best results I can! Oh no, not hitting submit is the worst! But that’s so happened to me. The number of times I’ve written a long email or message and then stupidly clicked close or accidentally back. OMG the worst. So glad you’ve brought yourself back. Wandering thoughts and distractions can play into it to. I know that I probably allow myself to get lost in thoughts way too often. It’s great that you’ve been able to find a way to handle it and be productive. We all need to know what works and what doesn’t work for us! This came at a perfect time for me. The kids are going back to school, working full time, we are buying a new home, selling our home, and I just had my first wreck in over 25 years. I have had so much stress that I do not know what to do with it actually. I have tried so many things but this situational stress is about to get me. Lately, I have been using a plan B much more than I want. Isn’t it the BEST when you find just what you’re looking for, when you need it the most. Things are VERY busy for you right now. Big change leads to lots of overthinking. Take it in stride, deep breaths when you need to. I have a huge problem with overthinking. It is like my mind is busy searching for something to watch on Netflix all the time. I end up paralyzed with indecision but with real life things, not movie selections. That’s just our minds trying to play games with us, I know how it feels. It happens all the time. It’s like your mind tries to avoid “risky” things and fall into the same comfortable rut every time. Watching Netflix is fun and easy, while the things that we perceive as hard are the ones we procrastinate on. This technique works every time for me, I hope it does for you as well. Good luck with everything – and thank you for sharing your experience! I love your tip of splitting tasks into 3 different deadlines. I always plan out my week in my planner so I don’t feel too overwhelmed or too slow. Definitely bookmarking this post! Yes, I’m all about the planner and breaking it up. Bit by bit we get it all done. When I am over-thinking I tend to write it down. Just get everything out. Sometimes I’ll even record a message to myself to play back later. I think it is good to see all possible options though. But I am definitely an over-thinker for everything! Well said! Getting things out – whether is by writing them down or recording them (great idea by the way!) is the first move, and the one that leaves our minds feeling “light” and “free” again. This is such an important habit to break. Consider all the time spent in negative thought and then consider what you could be doing with that time. You could be positively planning your next steps instead of agonizing. Yes, it really is a habit. We get used to thinking about things for too long. And the longer you think about it, the harder it is t get started. I’m in the habit of just doing something when I feel like it. Just get it done immediately. I’m pretty sure that overthinking is at the root of almost every challenge that I have (including some physical ones). I can never seem to get my mind to slow down and focus – and there’s always too much. I like this idea of putting it on one page – seems a little more manageable. I don’t have to think about it because it’s right there (and even organized) and anyone can manage one page, right? You and me both! I was such an obsessive compulsive planner, which is basically just overthinking in disguise. I find that getting all my ideas out onto paper where I can see them, really helps me see that start of the list. Then, I can get started. What an excellent article and an excellent system! I am a chronic overthinker. It drives my husband to despair. I’ve always tried to make a list or steps to take but this seems like I much more thorough process. Thank you! I so agree with you, Celeste has really broken down for us a great way to deal with our overthinking problem. The brain dump is a great way to clear your mind and step forward in action. I’ve gotten better at not over thinking but I feel like when I’m in new territory it can be a struggle. Having someone helping you navigate can be a good thing as well. I like the points and suggestions you made. Very relateable. Isn’t that the thing though. You get really good at managing a certain area, but then once you’re leaving your comfort zone again that uncertainty kicks in. We’re always pushing forward. Sometimes we just have to be brave and do it, without overthinking or overplanning. This post really speaks to me. I definitely have a problem overthinking. But I know that and that’s half the battle. Yes, you are on your way. Knowing it’s a challenge is the first step to overcoming overthinking! 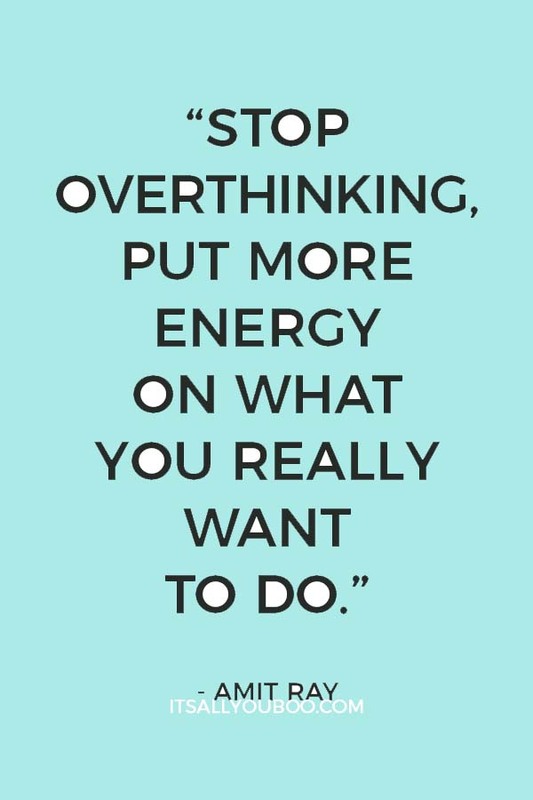 i’m definitely guilty of overthinking and then overstressing! love the ban.do products! You and me both Tara! So glad that you found just what you were looking for in this post. I’m right there with you on that one. I get insomnia when I’m super excited and my mind is firing like fireworks. For me, this is easier said than done. I am a professional over-thinker! It’s the reason I can’t sleep sometimes or why I get paralyzing anxiety. I’ve found ways to cope with it… Meditation helps, aromatherapy helps, reading helps and just practicing a positive mindset. You just got to live in the moment focus un what you’re doing at the present and not worrying about things that haven’t happened yet – I know, easier said than done. For us all, I think! Overthinking is a favorite pastime of many of us. Love your techniques for dealing with overthinking. I like to focus on finding the starting point, asking myself, what can I do right now. Then clearing my mind of the rest of it and just getting started. I really like the SMART method you have laid out. That is a great acronym and really drives you point home. It is like my 7 P’s- Prior Proper Planning Prevents Piss Poor Performance, LOL. Seriously, Nice post as always. SMART goals are where it’s at. For a one-pager, it really does help you outline everything you need to do, it’s the perfect brain dump. So you can focus on taking action and stop overthinking it already. Need to bookmark this! I’m such an overthinker! Yay for being bookmarked! And to more doing, less thinking!